Precisely manufactured combined jaw- and ring wrench. This wrench is a brand-name product of great quality. This is a short version of the wrench to allow application in tight spaces. 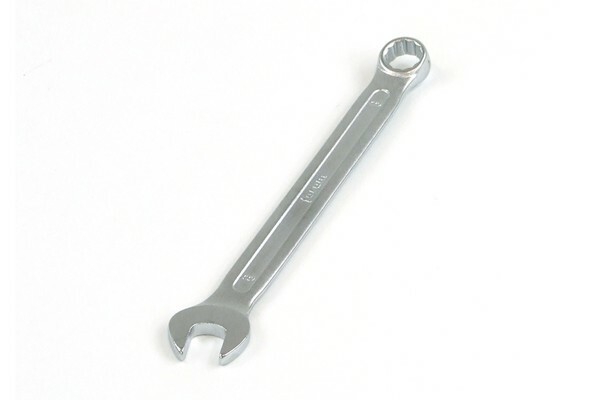 The ring wrench side is also angled by 15° to reach into the last corners. The ring-jaw-wrench is forged from Vanadium-steel making it extremely sturdy and long-lived. The surface is chrome-plated and polished, protecting the wrench from corrosion and also contributing to the looks of the tool!